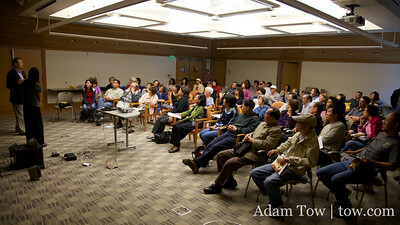 On Sunday, the Chi Am Circle club sponsored a screening of Autumn Gem at the Saratoga Public Library. Ninety people were in attendance for the screening, including Qiu Jin’s Great Grandnephew, Charles Fan, whom we first met at the Willow Glen screening back in March. Now that we’re back from our Spring 2010 Tour, we have time to start planning our next steps with the film: more screenings, interviews, a study guide for the Institutional version of the DVD and the iPad application. 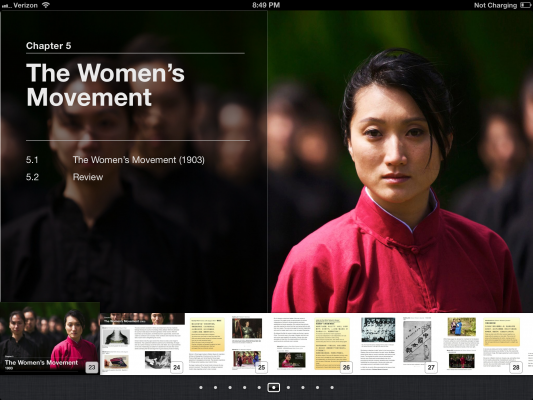 As with the Wellesley College screening, we ran the entire Keynote presentation and video from our iPad. In addition, we demoed the Autumn Gem iPad app at the end of the screening. We hope to have it uploaded to the App Store in the next couple of weeks for those million people who bought an iPad in the first month of the product’s availability! 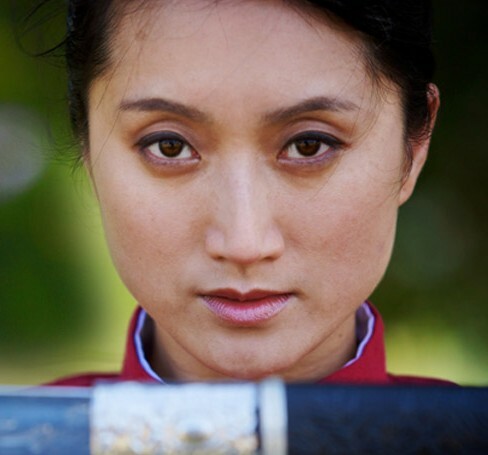 Special thanks go out to Edric (one of our Qing soldiers from the film), who loaned us his projector. Thanks also go out to the Chi Am Circle club for organizing the screening and providing the refreshments. Here are photos from our Saratoga Public Library screening.